White Cross Vets is a family-run veterinary group with 19 practices across the North of England. Fleek Marketing works closely with White Cross Vets on an ongoing basis, providing digital strategy and consultancy, as well as regular and ongoing campaigns. 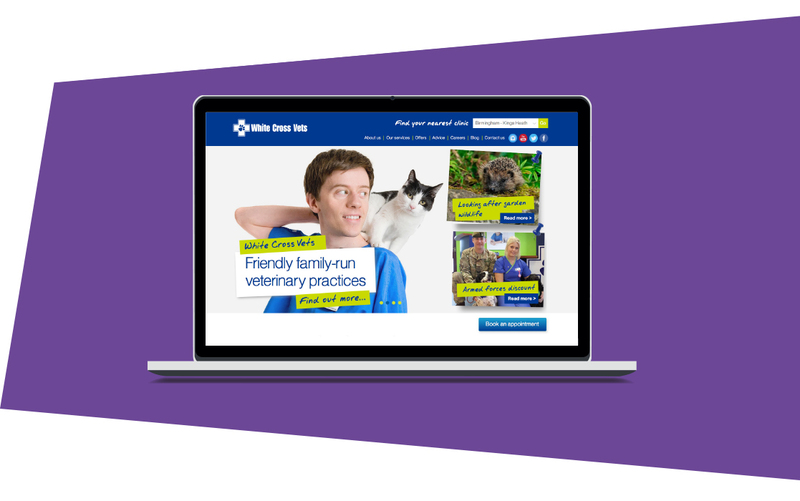 In 2015, we built an award-winning website for White Cross Vets. We are now working with them to future-proof their website through innovative mobile-first design. We also worked with them and their PR agency to deliver an online PR campaign that achieved huge reach and impact, resulting in an issue being debated in the House of Lords – and positioning White Cross Vets as UK experts on the issue. Working with Fleek is inspirational. Their expertise, enthusiasm and sound advice have enabled me to create a digital strategy for White Cross Vets in months rather than years. Whatever brief I give them, Fleek will deliver something bigger and better a short time later - and I know it'll be on budget. Fleek is an asset to our business and is integral to both the current and future success of White Cross Vets. Working with Jonny and his team is a highlight of my working week and I look forward to creating loads more great stuff with Fleek.